Cindy Naugle started smoking in 1968, when she was 20 years old. By the time she was 22, she was smoking two packs a day. Cindy smoked for the next 25 years, finally quitting in 1993 with the help of the nicotine patch. But by then, the damage was done. Cindy was diagnosed with Chronic Obstructive Pulmonary Disease (COPD) in November of 1992. Cindy attempted to quit smoking at least once a year for the entire time she smoked. But the end result was always the same, she always went back to smoking. This was a different time, and Cindy never realized that she was addicted to cigarettes. But she knew that her smoking was beginning to interfere with her life. At Cindy’s first job, at her father’s paint store, she was allowed to smoke inside while she worked. There were ashtrays all around the store. But when the store closed in 1988, she had to go out into a world that was becoming increasingly wary of cigarettes. Her next two jobs, at the Florida Bar Association and Neiman Marcus, did not allow smoking inside. Although she was allowed smoking breaks, they weren’t numerous enough to match her need. She left both jobs within months. In early 1990, she got a job at a small publishing company, where she could take several smoking breaks per day. But eventually her breaks started to negatively impact her job performance, and her boss had to ask her to cut back. When Cindy was 44 years old, she went to the doctor with a cough. After taking a chest X-ray, her doctor told her she had emphysema in one of her lungs. He prescribed a nicotine patch and ordered her to stop smoking. Cindy had her last cigarette on February 19, 1993. A few years after her diagnosis, she began to feel the symptoms of her COPD. She was often short of breath, and could no longer perform activities that had once been easy for her, such as walking her brother’s two dogs. She was placed on medication to help her breathing, but her fate was sealed. When my firm took her case to trial, in 2009, Cindy was doing her best to lead a normal life. She had a job as an office manager at an auto repair shop and lived in an apartment, on her own. But her disease progressed to such a degree that she needed to be on an oxygen machine every minute of every day. Because she couldn’t move fast or bend, her brother had to drive her to and from work every day. She kept an oxygen concentrator at work, but due to its weight and her lack of strength, someone had to carry it for her any time she needed to move from her desk. She also had to carry a walkie-talkie with her into the bathroom in case she was unable to move the concentrator and get out. Cindy’s whole life shrank down to her home, work, and the grocery store. Although she didn’t have to be at work until 7:45 a.m., she would wake up at 4:30 a.m. to leave herself enough time to get ready. Changing the sheets on her bed took about 40 minutes, and vacuuming her small apartment became a two-hour ordeal. Worst of all was the constant worry over health insurance and the thought that if her plan changed or was cancelled, she’d be out of oxygen. It was this fear that a job or insurance loss could kill her that prompted her brother, former Fort Lauderdale Mayor Jim Naugle, to suggest that she sue Philip Morris. The Naugle trial began on November 2, 2009. Cindy’s oxygen concentrator was so loud, it had to be muffled with blankets. Cindy took an uncomfortably long time to walk the seven steps to the witness stand to testify. Then it took her five minutes to catch her breath before she could start answering questions. A few weeks later, the jury returned a verdict in our favor. They awarded compensatory damages totaling $56 million, and punitive damages of $244 million. This sounded excessive to some, but as an economist testified during trial, the Altria subsidiary that manufactured Cindy’s cigarettes makes $10 million in excess cash every single day. After all the accounts are paid, they have an extra $10 million of free money hanging around. The trial lasted twenty-four days. 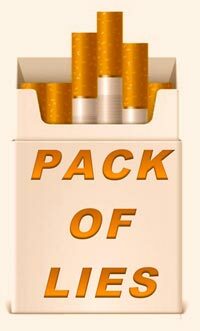 The jury decided its verdict would punish Philip Morris with just twenty-four days of its excess free cash. Twenty-four days for decades of living with a disease and an addiction that would soon kill Cindy unless she got the money for a lung transplant. In 2012, the trial court reduced the compensatory and punitive damages to $12,982,500 and $25,965,000 respectively, totaling almost $39 million. It was barely a few days’ profit. The judgment was entered in June 2010. Even after the reduction in damages, Philip Morris continued to fight, and appealed to the Fourth District Court of Appeal. The appellate court held that the amount was justified. At this point, we figured we’d come to the end of the story. Little did we know we were just getting started. On December 12, 2012, the Court of Appeal withdrew and reversed its previous ruling. The court affirmed the judgment that Philip Morris was liable for compensatory and punitive damages, but required a second trial to determine the damage amounts. The second trial began on October 2013, before the Honorable Jack Tuter. Trial is always hard for a lawyer. It consumes you. Your entire life outside the trial fades away. Sleep becomes a rare luxury. But this trial stretched my firm to the breaking point. It was the craziest, most difficult trial of my life. First of all, Big Tobacco flew in a legal dream team from all over the country. They had a lawyer for everything; a specialist to concentrate on each aspect of the trial. It seemed as if they had people working every night on new motions that we wouldn’t even have time to read, much less respond to in writing. Cindy’s health had continued to deteriorate during the four years since the first trial. She needed a lung transplant to save her life, but she couldn’t afford it. She almost died several times during those four years. In the week before the second trial she got sick again. My partner, Todd McPharlin, was with her the Friday before trial started, defending yet another deposition. Tobacco lawyers were once again aggressively interrogating her. It was incredibly stressful for her, and the strain grew worse with each question. She took longer and longer to answer. Before the deposition ended, she could not go on. Todd called 911, and Cindy was hospitalized. We had come to know and love Cindy. We were worried for her, and we grew desperate to figure out some way to save her. After trial started, Todd would visit her in the hospital. And we got constant updates from her brother. But more than the time needed to check in on her was the emotional toll that her suffering was taking on her and her loved ones. I exploded several times at tobacco lawyers during that trial, in ways that were not professional. I’m not proud of this. But someone I cared about was fighting for her life, and if these tobacco lawyers hadn’t abused the justice system that I love, she would have been able to afford that lung transplant. It’s also a major problem when the plaintiff cannot appear in court. We were asking these jurors to understand Cindy and her life without ever meeting her. She could not come into the courtroom and testify about all the ways, little and big, that her life had been dimmed, narrowed, and ruined. Lawyers rarely win cases if the jury does not connect on some level with the client. In this case, it was a client they would never meet. But that’s not all. Cindy’s condition created innovative ways for the tobacco companies to delay. We had to respond to arguments we had never dealt with before, and we didn’t have the time to research and write proper legal memorandums. Instead, we were on our feet each morning, arguing motions that we often hadn’t even had time to read. Philip Morris fought hard to delay the trial. If Cindy died before the verdict and the new judgment, tobacco would win. That wasn’t justice. So, Judge Tuter ordered the trial to proceed. But this was uncharted waters, and I have never seen a judge in a more difficult position. Tobacco would argue every day that the judge should terminate the trial. Once Cindy went on a ventilator, these arguments became more heated. According to tobacco, Cindy was no longer competent legally, and she could not proceed with her lawsuit. Due to Cindy’s deteriorating health, to try to maximize the fairness to the tobacco companies, Judge Tuter ordered the hospital to produce Cindy’s medical records to them on a daily basis. This put yet another additional strain on my trial team and my firm. We had to collect these records and review them every day. Tobacco had extra lawyers standing by, plus medical professionals on call. We did not. And because Cindy’s condition was constantly changing, the opinions of the medical experts would have to change with each new medical development. The Judge felt he had no choice but to order additional depositions of those experts, and the depositions would have to occur at night during trial. So, after trial ended for the day, I headed to a court reporter’s office to defend a deposition by tobacco attorneys of a pulmonologist who was going to testify about Cindy’s medical needs. We didn’t have enough time to really prepare, or to sleep. After all this, after presenting considerable expert testimony about Cindy’s needs over the next few years, and about the cost of the lung transplant that would save her life, we received an unfortunate update from the hospital. They had changed her condition to terminal. She was going to die. I had to tell the jury during my closing argument that she would not survive. There was no longer any need in their verdict to provide the money for a lung transplant to save her life. No need to look at her future medicals, her future suffering. No need to look at the future at all. It was too late. On October 16, 2013, the second jury returned a verdict of $11.2 million. Of that, $4.1 million was compensatory, and $7.5 million was for punishment. Cindy passed away seven days later. We had failed her. We did not get her the money she needed in time to save her life. To put it in context, outside of tobacco litigation, most cases settle. Very few go to trial, and then almost none of them ever have to be retried. Cindy’s case was already a very rare case, one that had taken far too long. Although we were grieving, I thought the end was at least in sight. Once again, I was wrong. By this point, I knew that Philip Morris would never stop fighting, regardless of how much it cost them or how much it cost Cindy. I knew that they would use any technically legal tactic, no matter the effect on the judges or the court system, and no matter how abusive it was. But even I could not foresee what was about to happen. A few days after the jury submitted their verdict, the jury foreman left a voicemail for Judge Tuter. In the message, the foreman said he had received a text message from one of the jurors that led him to believe something “was done wrong” by the other juror. On October 24, 2013, Philip Morris filed a motion to interview the jurors and view the text messages. The judge granted the motion. We appealed, but lost. On January 4, 2014, the court ordered the foreman to appear before the judge and bring his cell phone so the judge could review the messages. Judge Tuter also allowed the plaintiff and the defense to submit written questions for him to ask the foreman. When the judge interviewed the foreman, he testified that he had received a text after the verdict from another juror, in which the previous Naugle verdict of $300 million was mentioned. Philip Morris argued that the judge should conduct more juror interviews. Judge Tuter ruled that there would be no further interviews. He refused to disturb the judgment. Philip Morris appealed, and the appellate court affirmed the trial judge on all issues save one. On January 6, 2016, the District Court of Appeal ruled in favor of Philip Morris on the juror interview question, and the trial judge was ordered to interview the second juror. Mr. Schuler reiterated that he had not conducted any research during the trial. He stated this over fifteen times during the course of the interview. Afterwards, the judge came back out to meet us one last time and make sure we were absolutely sure there were no more questions. Both sides said no. After a review of the juror’s testimony, Judge Tuter again refused to disturb the verdict. Philip Morris appealed once again, claiming the juror had lied during the interview, and the judge was wrong to believe him. Philip Morris had requested a juror interview, and spent over a year going up to the appellate court to make it happen, and yet now claimed that such an interview could not be trusted. This time, the wait for the appellate decision was particularly excruciating. Because Cindy had already passed away and she had left no survivors, if Philip Morris won its appeal, there would not have been a new trial. Philip Morris would have won the case by delaying it long enough so that she had died without survivors before the new trial. That is the fundamental litigation strategy for the tobacco companies: delay, delay, delay. By stalling and delaying court proceedings, the tobacco companies buy time. Plaintiffs in cases against Big tobacco are often terminally ill as a result of smoking, and when they die, their cases tend to fade away. In 2016, The Fourth District Court of Appeal rejected the defense arguments and affirmed the verdict. The appellate court did so without a written opinion (an indication that the issues were so clear, no comment was even needed). That prevented Philip Morris from appealing to the Florida Supreme Court, and for all intents and purposes, this ordeal was finally ending. Or at least, that would have been true in any other case. Philip Morris had ninety days to file a Petition asking the United States Supreme Court to review the final judgment. Consistent with a strategy of delay, Philip Morris asked for an extension of sixty days to file the Petition, and eventually requested that the United States Supreme Court review Cindy Naugle’s individual case. We did not respond, thinking that the entire thing was frivolous. Nevertheless, the United States Supreme Court ordered us to respond, and we are now litigating Cindy’s case in that Court. As I write this, almost a decade after Cindy’s brother called me to see if Cindy had a case, and years after Cindy died, we have no idea if there is any end in sight. I know who killed Cindy, and now you do too. What we don’t know is whether anyone will ever be brought to justice.